For those of you who celebrate it, Happy St. Patrick’s Day! As always with a holiday in which alcohol is involved, enjoy but please return safe and sound from your fun and frolic! Overall, it has been a good week at City State Entertainment, but unfortunately, we are still trying to track down a bug which caused some of the issues from the last couple of weeks of testing. We’ve had Wyrmling running for days without a repro of that issue, but we are not completely convinced that we solved the problem. This is one of those times when I hope we’re wrong and that we did fix the problem, but only time will tell. As such, we will be running two tests this weekend (more details to follow), on Wyrmling and Wyrmling Prep, respectively. 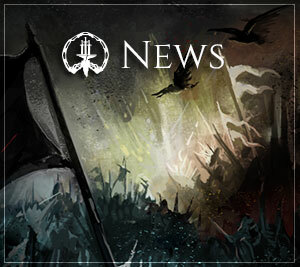 WIP – Tech – Manual Aiming Iteration: We received lots of feedback from our Backers during some recent tests, and addressed a number of bugs raised in the forums. Matt smoothed out the targeting camera’s tracking of the hit position, and updated tracking to work off a single button push rather than a hold. Arrows damage buildings once again! There’s still much more testing to do, as well as iterating on the feel and fun-factor of manual aiming, so expect more updates in the coming weeks. WIP – Tech – Stability improvements: We always do our best to ensure the most stable game for our players, but sometimes unexpected problems arise. This is why we test, and why it’s vital that our Backers help us. We’ve been working on updating the way we track whether a proxy is online or offline, and updating that information accordingly. This will help us to avoid proxies getting desynced from one another. Tech – Patch Server Speed Improvements: Instead of doing many, many, many queries, Dave batched each one into a single query. As a result, the new patch server on a standard reload takes 2-4 seconds, compared to the previous 240-260 seconds. 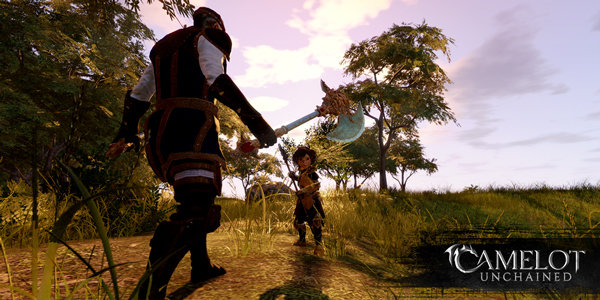 WIP – Tech – Animation System: As we move forward on the improvements to our new animation system, we’re able to start focusing on the ‘look and feel’ part, making sure that players see what they expect to see. One change was to stretch the animations to fit the length of an ability, which allows for important things: stronger swings can feel stronger and quicker jabs can feel quicker. And while Andrew, Scott, and Ben tag-team on hooking up animations, Gabe has been playing support to dB and Mike, helping integrate tags into existing systems, so SFX and VFX can trigger at the correct time in a combat sequence. Tech – Nameplate Debugging: Andrew made a valuable change to allow the output animation debug info, like animation segment and frame, through player nameplates. This allows us to verify, as it’s happening, that the correct animations are playing when we expect them to. It’s a small developer-facing addition, but it has a big impact on productivity. WIP – Tech – Order Independent Transparency (OIT): Now that George’s OIT updates are in, our next improvement will be to vastly simplify the math for particle blending by using brightness to support additive effects. This also has the benefit of making it significantly easier for Mike to edit particles. Additionally, next up, Dave and George are tag-teaming lots of particle types to support our system. Take from resource nodes to get raw substances. Purify these raw substances to transform them into their purified form. Refine pure substances to increase their quality. Grind raw or pure substances down into their essence. All of this is just the initial tech work. There’s still quite a bit of data to be set up before our players can take it for a spin, but we’re excited about the progress! WIP – Tech – Banes and Boons: Our first round of in-office testing was a big success. We’re already cruising through the feedback, as well as hooking up sound effects to buttons to better give the players feedback on what is happening. 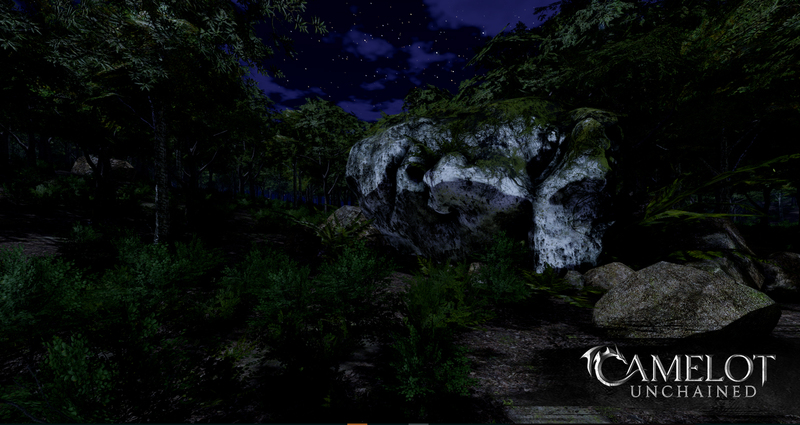 We’re excited to show our Backers this in the near future! 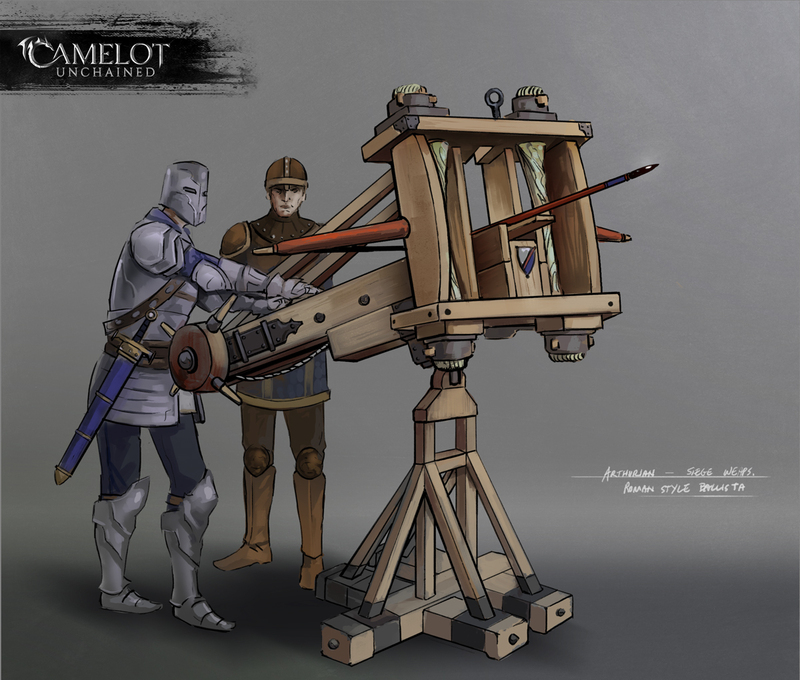 WIP – Art – Siege Engines: Michelle completed a second pass on siege engines. You can catch her stream from earlier this week, HERE. (https://www.twitch.tv/videos/128453164) We’ve selected one design to start with, and will begin building this for use in Beta 1. 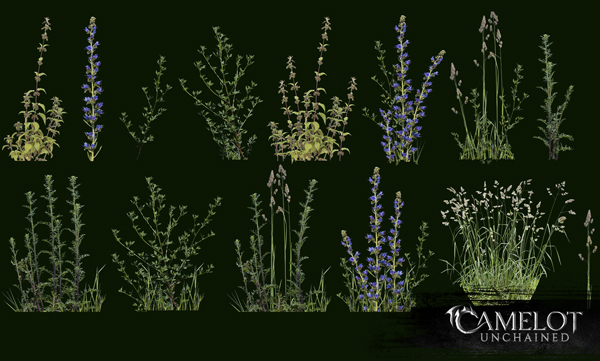 WIP – Art – Environment: Dionne began working on a variety of additional environment assets to flesh out the world. Earlier this week, she streamed work on a set of weeds, the unsung heroes of the grass plains, and began dressing up Jon’s statue to drop in game. You can catch her exciting weeds creation stream HERE. (https://www.twitch.tv/videos/128892361) While not the most exciting asset, it’s definitely one we’ve been missing! WIP – Art – VFX Tagging and OIT: Mike began working with George this week to test and address issues with particles using the new system. Additionally, we’ve begun the basics of using tags on VFX for abilities. 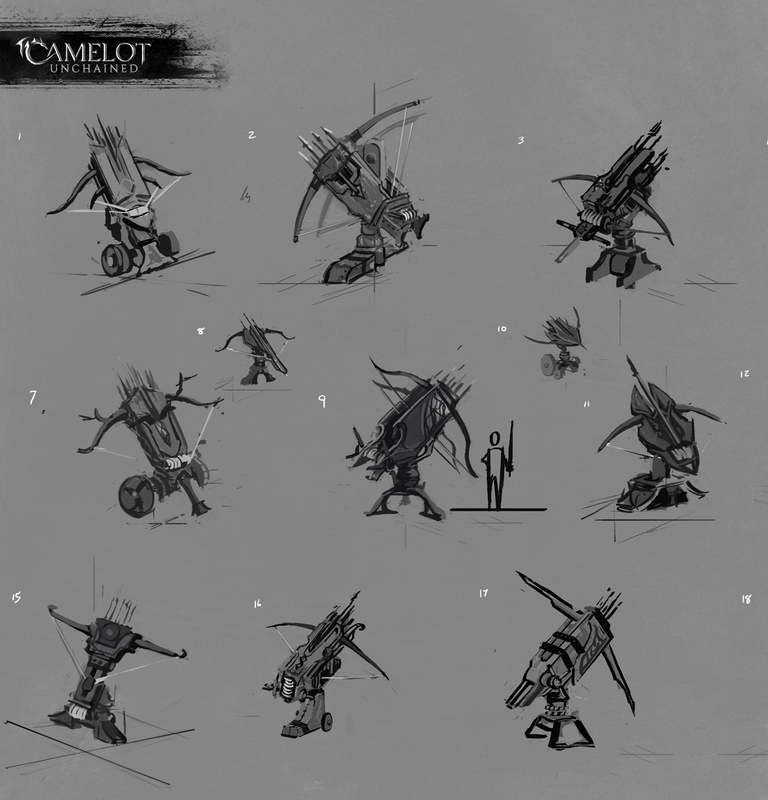 A small sampling of abilities will fire VFX upon initiating an ability, and these will grow in functionality and capability. WIP – Art – Sounds on Abilities: dB re-added sounds to ability activations using the new, and much easier to use, tagging system. Moving forward on the engineering side, we’ll be adding in more areas in abilities to add sound. Art – Weapons: Jon completed new Arthurian spear and polearm models this week. We also updated the player inventory to include many weapons previously completed, so players can whack each other with more pretty CSE art. For art this week, we’ve got some particularly interesting and varied pieces. 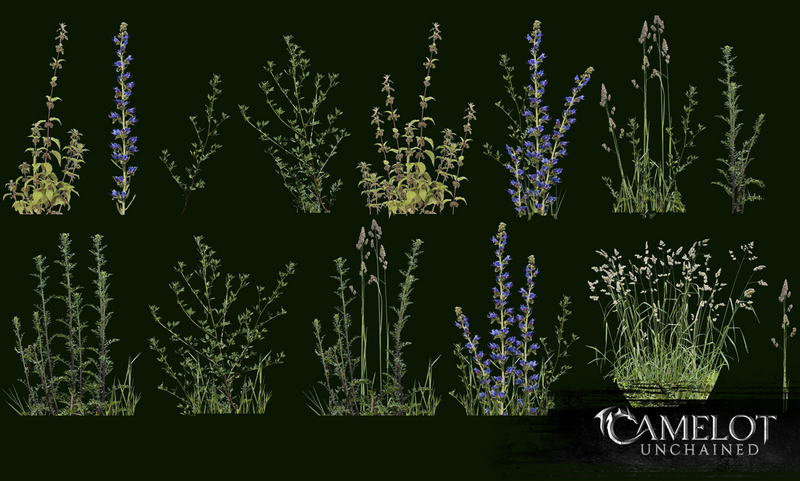 We’ve been talking quite a bit about the progress we’re making on the new animation system, which has allowed us to see some of these assets for the very first time. The other exciting thing is that characters now use the appropriate animation within their stance, per the weapon(s) they have equipped. 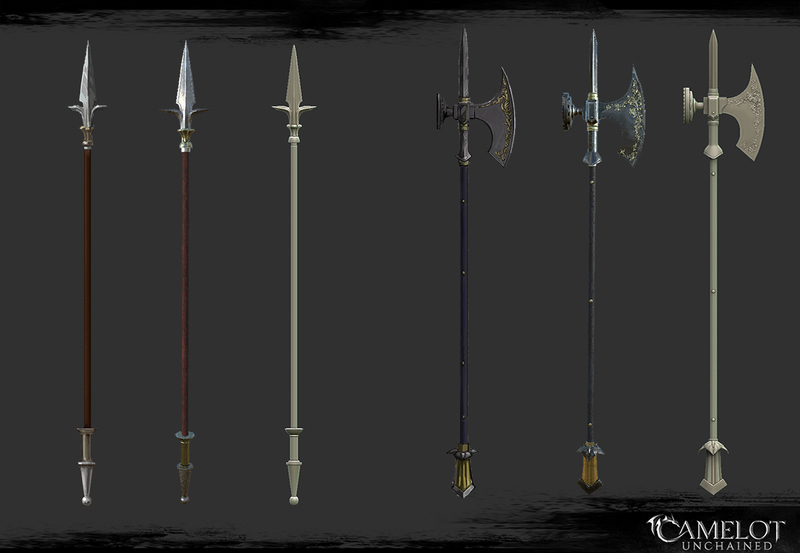 Just like last week, we have a few images showing off our proud warriors, weapons in hand (and not poking them through their own faces!) and, well, a relative of a scorpio. 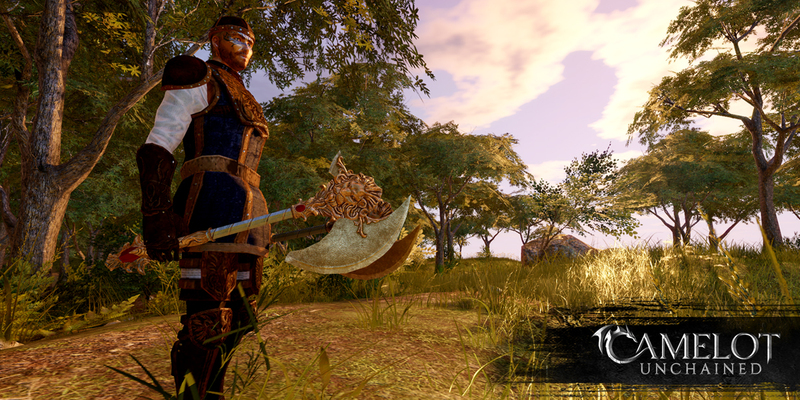 First up, we have our proud Arthurian dual wielding one-handed lion-themed axes, looking for targets! 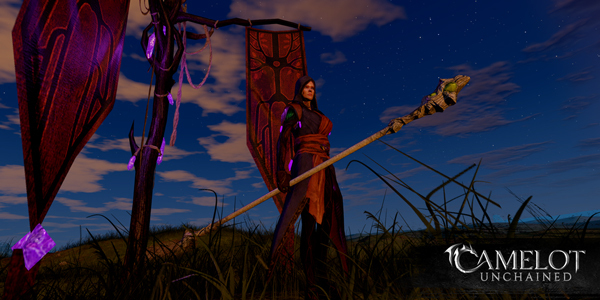 Next up we have a Tuathan Empath guarding her claimed plot, during twilight. Finally, as part of our animation improvements, we have a Luchorpán, in her Fall Court armor, convincing her Arthurian attacker that size matters not! 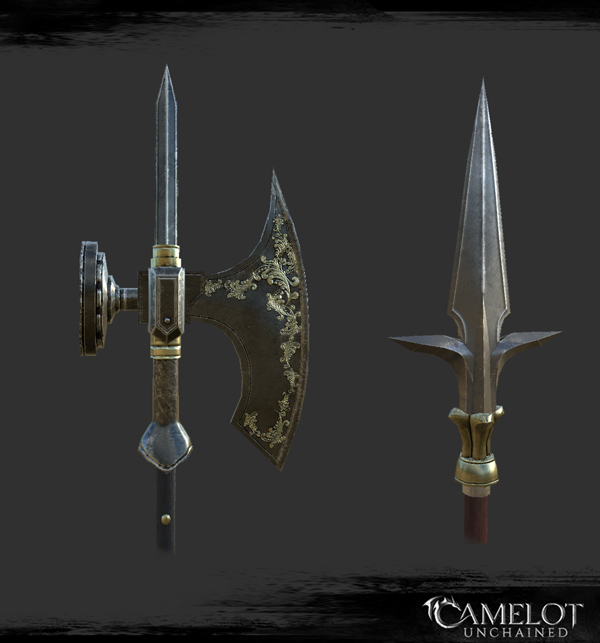 While we’re on the subject of combat, Jon created an additional Arthurian spear and polearm to help even out the number of available weapon types per Realm. Check out the detail in this render! We’ll be adding these guys into player inventories at our next item update. Next up, let’s look at concept art for siege weaponry. First off, Michelle has created several quick silhouettes of an initial pass at a scorpio-like weapon. We’ll later use these to influence Realm variation. Next up, we have a Roman-inspired Arthurian mock-up, which we’ll be building for later use in Beta 1. And since a world needs more than weapons, here’s some rather common weeds. One thing our artists have tried to focus on is a more real-world inspired environment. Real forests and grasslands have all sorts of plants, not just fields of trees and simple grass cards. We’ll use these weeds, as just one example, to add more variation to the world. We’ve saved the best for last. 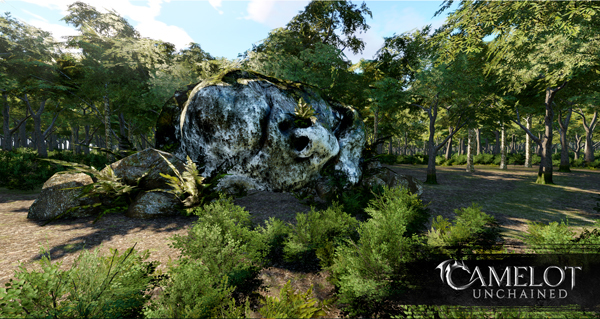 Now let’s move over to an update on some of the environment art Jon created previously, with the ruins of a large statue one might come upon while exploring the world of CU. I’ve said it before, and I’ll say it again, every week we draw closer to Beta 1. As this weekend’s tests show, progress continues apace. For the details of the tests, expect a very lengthy email for our Alpha and IT testers on Wyrmling Prep. And you Alpha, Beta 1, and IT folks already received the email for the Impromptu test on Wyrmling. In terms of Wyrmling, please keep in mind that you will experience longer than expected loading times within the game because of the amount of buildings, Voxs, etc. in this build. In terms of Wyrmling Prep, we do expect it to be taken up and down over the weekend so we can grab snapshots from the debugger. Reboots will happen quickly (minutes) until we decide to shut down the test entirely. From all of us to all of you, Happy St. Patrick’s day, and enjoy your weekend!